Carl Ferdinand Howard Henry (January 22, 1913 – December 7, 2003) was an American evangelical Christian theologian who served as the first editor-in-chief of the magazine Christianity Today, which was established to serve as a scholarly voice for evangelical Christianity and a challenge to the liberal Christian Century. Henry grew up in Long Island, NY as the son of German immigrants, Karl F. Heinrich and Johanna Vaethroeder (Väthröder). After his high school graduation in 1929 he began working in newspaper journalism. While not unacquainted with Christianity, his first experience indicating a personal God came as he worked at a weekly newspaper office, proofreading galleys with a middle-aged woman, Mildred Christy. When Henry used Christ's name as a swear word, Christy commented, "Carl, I'd rather you slap my face than take the name of my best Friend in vain." In 1932, at the age of 19, he became editor of The Smithtown Times and later a stringer for The New York Times. The next year, after becoming a Christian, he decided to go to college to begin a life of Christian service. Dr. Frank E. Gaebelein, then headmaster of The Stony Brook School, gave him a catalogue to the evangelical, liberal arts Wheaton College. He enrolled in 1935, where he was greatly influenced by the philosophical teaching of Gordon Clark. While at Wheaton, Henry also taught typing and journalism. It was there that he met Helga whom he married in August 1940. He received both bachelor's and master's degrees from Wheaton. He then earned a Doctor of Theology degree from Northern Baptist Theological Seminary. He also earned a PhD from Boston University in 1949. His wife Helga Bender Henry was born in Cameroon, West Africa, the daughter of German born American missionaries. She wrote a book in 1955 about the Union Rescue Mission in Los Angeles. In 1999 she published Cameroon on a Clear Day about her parents work in that country. Their son Paul B. Henry, PhD was a U.S. Congressman from Michigan from 1985 until his death in 1993. Their daughter, college professor Carol Henry Bates, PhD, was a noted musicologist. In 1942 he took part in the launching of the National Association of Evangelicals, serving on its board for several years and being book editor of their magazine United Evangelical Action. His first book was Remaking the Modern Mind, 1946 . His second book is a critique, The Uneasy Conscience of Modern Fundamentalism, 1947 , in which, while rejecting modern liberalism, and preserving a doctrinal focus on the Bible, also rejected the rigidness and disengagement of Fundamentalists. The book firmly established Henry as one of the leading Evangelical scholars. 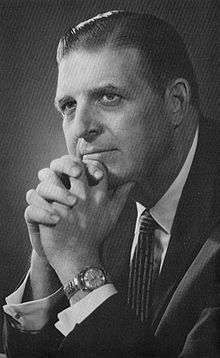 In the same year, along with Harold Ockenga, Harold Lindsell and Edward John Carnell, he helped establish Fuller Theological Seminary, founded by radio evangelist Charles E. Fuller. In 1956, with the urging and support of Evangelist Billy Graham, Henry began publishing Christianity Today. He was the magazine's editor until 1968. In 1978 he signed the Chicago Statement on Biblical Inerrancy, which affirmed Biblical inerrancy. In the early 1980s Henry was a founding board member of the Institute on Religion and Democracy, with which he remained active until the mid-1990s. Henry's magnum opus was a six-volume work entitled God, Revelation, and Authority, completed in 1983. He concluded "that if we humans say anything authentic about God, we can do so only on the basis of divine self-revelation; all other God-talk is conjectural." In his magnum opus he presented a version of Christian apologetics called presuppositional apologetics. Henry regarded all truth as propositional, and Christian doctrine as "the theorems derived from the axioms of revelation." His autobiography, Confessions of a Theologian was published in 1986. Henry died in 2003 at the age of 90. "The Carl Henry that Might have Been", Christianity Today, 2003 . Carl F. H. Henry Center for Theological Understanding . Confessions of a Theologian: An Autobiography, Waco: Word, 1986 . Henry, Carl FH (1947), The Uneasy Conscience of Modern Fundamentalism, Grand Rapids: William B. Eerdmans . The Drift of Western Thought (1951). Christian Personal Ethics (Grand Rapids: William B. Eerdmans, 1957). Henry, Carl FH, ed. (1957), Contemporary Evangelical Thought, Great Neck: Channel Press . Evangelical Responsibility in Contemporary Theology (Grand Rapids: William B. Eerdmans, 1957). Henry, Carl FH, ed. (1958), Revelation and the Bible, Grand Rapids: Baker . Evangelicals at the Brink of Crisis (Waco: Word, 1967). Faith at the Frontiers (Chicago: Moody, 1969). Evangelicals in Search of Identity (Waco: Word, 1976). God, Revelation and Authority, 6 vols. (Waco: Word, 1976–83). The Christian Mindset in a Secular Society (Portland: Multnomah, 1984). Christian Countermoves in a Decadent Culture (Portland: Multnomah, 1986). Twilight of a Great Civilization (Westchester: Crossway, 1988). Henry, Carl FH; Kantzer, Kenneth, eds. (1990), Evangelical Affirmations, Grand Rapids: Zondervan . D. A. Carson and John D. Woodbridge, eds. God and Culture: Essays in Honor of Carl F. H. Henry (Grand Rapids: William B. Eerdmans/Carlisle: Paternoster, 1993). G. Wright Doyle, "Carl Henry: Theologian for All Seasons" (Eugene, Oregon: Pickwick Publications, an imprint of Wipf & Stock, 2010). Hall, Matthew and Owen Strachan. 2015. Essential Evangelicalism: The Enduring Influence of Carl F. H. Henry. Crossway. Eric J. Miller, "Carl F. H. Henry and Christianity Today: Responding to the 'Crisis of the West,' 1956–1968," M.A. Thesis, Trinity Evangelical Divinity School, 1994. R. Albert Mohler, Jr., "Carl F. H. Henry," in George, Timothy and David S. Dockery, eds. Theologians of the Baptist Tradition, 279-96 (Nashville: Broadman & Holman Publishers, 2001). Bob E. Patterson, Carl F. H. Henry (Waco: Word, 1984). Purdy, Richard A (1980), The Rational Apologetic Methodology of Carl F. H. Henry in the Context of the Current Impasse between Reformed and Evangelical Apologetics (PhD dissertation), New York University . ——— (1993), "Carl F. H. Henry", in Elwell, Walter A, Handbook of Evangelical Theologians, Grand Rapids: Baker, pp. 260–75 . R. C. Sproul, John Gerstner and Arthur Lindsley, Classical Apologetics (Grand Rapids: Zondervan, 1984). Gregory Alan Thornbury, Recovering Classic Evangelicalism: Applying the Wisdom and Vision of Carl F. H. Henry (Wheaton: Crossway, 2013). Joel A. Carpenter, ed. Two Reformers of Fundamentalism: Harold John Ockenga and Carl F. H. Henry (New York: Garland, 1988). George Marsden, Reforming Fundamentalism: Fuller Seminary and the New Evangelicalism (Grand Rapids: William B. Eerdmans, 1987). James DeForest Murch, Cooperation without Compromise: A History of the National Association of Evangelicals (Grand Rapids: William B. Eerdmans, 1956). ↑ Carl F.H. Henry, Theologian and First Editor of Christianity Today, Dies at 90, Christianity Today, December 1, 2003, retrieved 2015-02-06 . ↑ Helga Bender Henry, Oak hill cemetery . ↑ Carol Henry Bates (obituary), Shives funeral home . ↑ Henry, Carl. God, Revelation, and Authority. 1. p. 234.